Donald Trump sued by nine-year-old over climate policy. US President Donald Trump is eight times his age and a much more experienced litigator, but nine-year-old Levi Draheim is looking forward to seeing the leader in court. Levi lives near Melbourne Beach in central Florida and is part of a group of 21 young people suing the president over his climate policies. “The reason that I care so much is that I basically grew up on the beach. It’s like another mother, sort of, to me,” Levi said. His local beach faces the Atlantic Ocean and the flat coastal terrain is one of the areas in the United States most vulnerable to a rise in sea level. 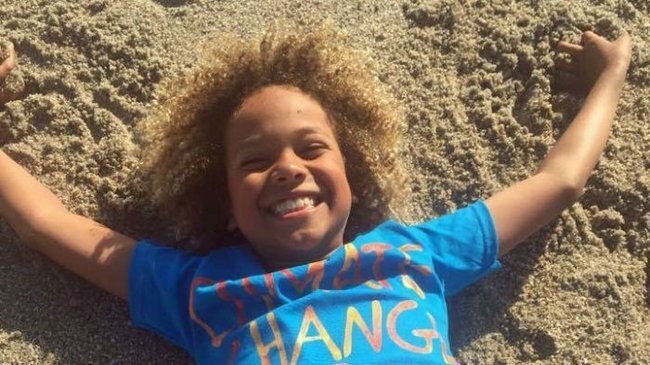 Levi and his family believe they are already seeing the effects of climate change in the local sand dunes, which are nesting territory for sea turtles. “It makes me really sad seeing how much dune we’ve lost,” Levi said. The young people suing Mr Trump began their legal action under former president Barack Obama, and last November they had a win with a judge dismissing a move from the administration to throw out their court action. “Exercising my ‘reasoned judgement’ I have no doubt that the right to a climate system capable of sustaining human life is fundamental to a free and ordered society,” Federal Judge Ann Aiken wrote. Last month the Trump administration announced plans to appeal, but Levi is not backing down. “I was just totally shocked that he doesn’t believe climate change is real,” Levi said. The case has seen Levi and his fellow young climate activists face some rather adult language on social media, but his mother Leanne Draheim said she was not worried. “Some people are saying like, ‘Why are you letting your kid get involved? What does he know? He doesn’t know enough to get involved’,” Ms Draheim said. President Trump has not yet said whether he will stick by his pledge to “cancel” the Paris Climate Accord, but he has moved swiftly to curtail government spending on climate. The Environmental Protection Agency (EPA) stands to lose almost a third of its funding under Mr Trump’s draft budget, and climate programs in other agencies will not be funded. “Regarding the question as to climate change, I think the president was fairly straightforward: ‘We’re not spending money on that anymore,&apos;” Mr Trump’s budget director Mick Mulvaney said.